Anyone remember this one. 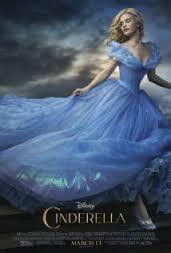 It is the latest edition of Cinderella. I love romance. I love … love. This quote is what I get when I read books. I get that little bit of magic. And when I find an author that has the ability to transport me to a different world, I read all that she has written and enjoy the times that I can fly away. I liked this one. It made you think about the impressions that you leave with people. Do you really know the people around you. In this story, the main character didnot. Her life was in danger and she had no clue. What would you do in her situation? What about the mountain man?? He is this troubled man that is basically in hiding. He doesn’t like the infamy that has come to him because of something that he did in the line of duty. The storyline was kinda cheezy but still was written really well. I’ll definitely watch for more from Sandra Brown. This past week I dug through my journal and dug out some of my favorites. Have a good week and Happy Reading! Remember to stay up to late and ignore dinner. The kids can fend for themselves!! Just kidding!!! Next Post Romance Copywriter – At Your Service! !